How Fast Does Gravity Travel? 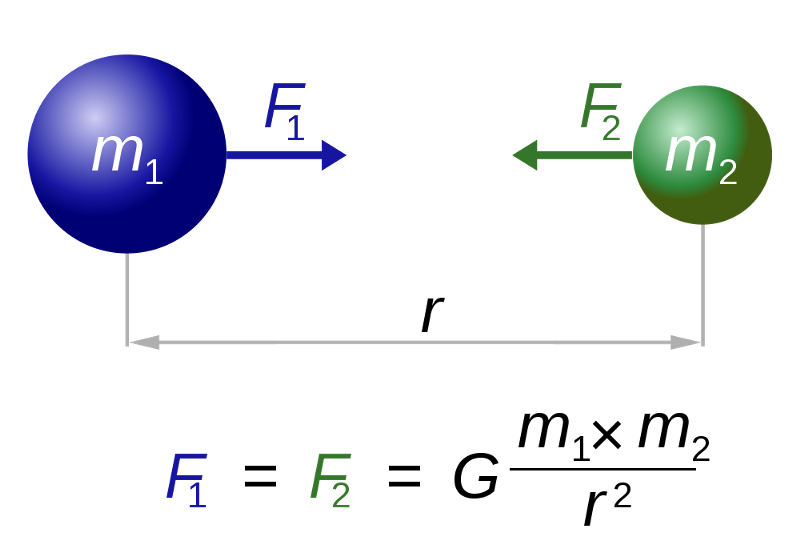 According to Newton, you have two masses separated by a distance, and that determines the force. You take one of those masses away, and the force goes away. Instantly. End of story. But in general relativity, things are much more intricate, and very different from the simple Newtonian picture you likely learned in high school or college. First off, it isn’t mass, per se, that causes gravity. Rather, all forms of energy (including mass) affect the curvature of space. So for the Sun and the Earth, the incredibly large mass of the Sun dominates the curvature of space, and the Earth travels in an orbit along that curved space, just like all the other bodies in the Solar System. 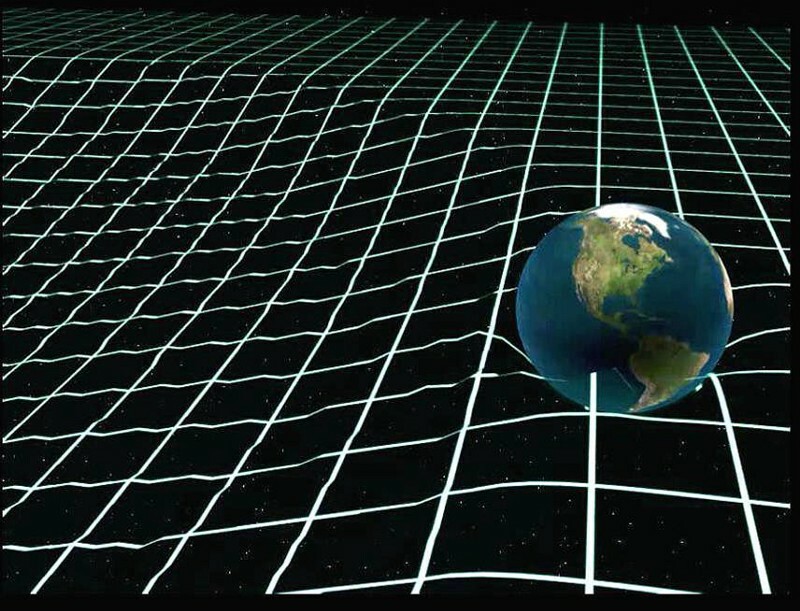 In general relativity, it’s true that space would go back to being flat, but it wouldn’t do so right away at every point. In fact, just like the surface of a pond when you drop something into it, it snaps back to being flat, and the disturbances send ripples outward. In Einstein’s theory of gravity, these ripples move at the speed of light, not instantaneously. This tells us that the distortion of spacetime due to matter and energy — as well as changes in that distortion — ought to propagate at c, and that the speed of gravity ought to be equal to the speed of light in a vacuum. It turns out, that while Newton doesn’t care what your velocity is, Einstein does. The Sun, as it is right now, won’t have its gravity affect Earth for another 8+ minutes, and the gravity that the Earth feels right now pulling it towards the Sun is actually pulling it towards where the Sun was 8+ minutes ago. The changes in the gravitation that Earth experiences is due to the fact that the positions and momenta of all the objects in the Universe — including the Sun — are changing over time, changing the curvature of space in our vicinity. In the wake of recent news that astronomers finally detected the space-warping boom of colliding neutron stars, measuring the merging of black holes might seem kind of old hat. You might have moved on, but researchers are still picking through the data gathered from those previous ground-breaking thunderclaps. Now two teams of physicists used figures from the variety of gravitational waves to narrow estimates on just how fast we think gravity moves, and while their results aren’t shocking, they are strangely comforting. A few centuries ago, Isaac Newton assumed gravity’s tug was instantaneous; a claim later Albert Einstein refuted by reasoning the force travelled at the speed of light. Going by Einstein’s reckoning, space isn’t just an empty stage for matter to move on, but is a major actor itself. Mass pulls on the very fabric of space, curving time and distance in such a way that objects accelerate towards one another. Just as the speed of a massless particle of light in a vacuum is restricted by the Universe’s upper speed limit, the massless distortions of spacetime would also be energy zipping along at top speed. Or, to be more precise, gravity moves at 299,792,458 metres per second, a rate we can just call c. Of course you’d be a fool to bet against Mr. General Relativity himself, but good science demands that even geniuses need to be checked against reality. And in spite of being intimate with Earth’s strong grip, the force of gravity is kind of hard to measure. 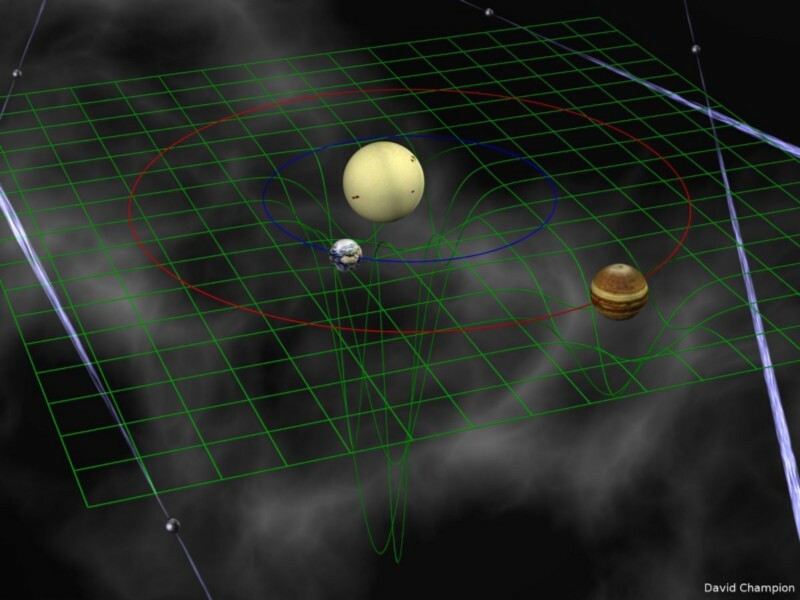 “Until the advent of gravitational wave astronomy, we had no way to directly measure the speed of gravity,” Neil Cornish, a physicist from Montana State University, told Phys.org. The numbers are pretty insane. As objects dozens of times more massive than our Sun orbit one another thousands of light years away, they lose energy by making space ripple. In that final moment before finally colliding, that effort equals something like 10 times the amount of energy pouring from every star in the Universe. Mind blown? By the time it reaches us, each wave is ten thousand times smaller than a proton, and passes in just one fifth of a second. We rely on a network of 4 kilometre (2.5 mile) long light beams arranged at right angles to spot those signature distortions. It might all sound simple in practice, but the technology behind the detectors – worthy of a Noble Prize – is about as cutting edge as it gets. The growing pool of data collected by these detectors is opening the way for scientists everywhere to dig for evidence on everything from hidden dimensions to the basic properties of space. “The speed of gravity, like the speed of light, is one of the fundamental constants in the Universe,” says Cornish. By comparing the exact timing of the gravitational waves as they hit different observatories across the globe, researchers can get a good idea of the wave’s overall speed. Cornish’s team of researchers combined the timings of the first three detections to narrow down the speed of the waves to between 55 and 142 percent of c. If enough detectors stay in top working order, this method could be used to calculate the figure to within just 1 percent of c by measuring just another five gravitational waves. Before you start marking off the days on your calendar, another team made up of a small army of physicists used the burst of gamma rays captured from last month’s neutron star collision to come up with their own estimate. They found the difference between the lightning flash of the gamma ray burst and the thunderclap of the gravitational wave was extremely close – within -3 x 10^-15 and 7 x 10^-16 of c. Close enough to call it a tie, really. To be fair, the previous team couldn’t have predicted the neutron star collision, so hats off to them for going old school. Having multiple methods come to similar conclusions also gives us confidence we’re on the right track, and that’s pretty damn cool. This entry was posted in Technology & Science and tagged gravity, speed. Bookmark the permalink.